There comes a moment after a very long game when you no longer know what to do. 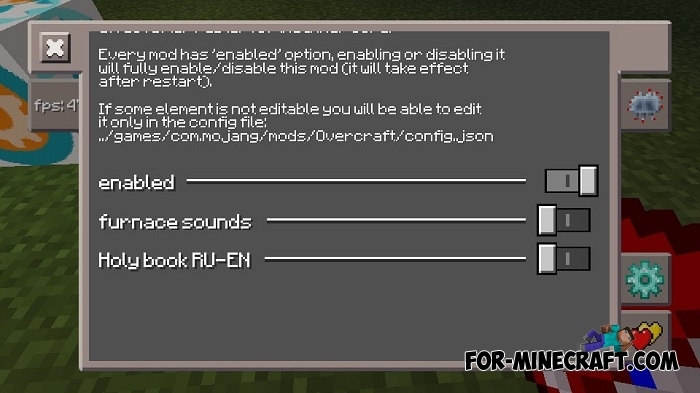 Throw these thoughts out of your head by installing the Overcraft mod. It consists of four parts: the main, industry, magic, research. Cumulatively, there are a lot of things and small mechanisms, as well as magical and enchanted items and weapons designed for fun and interesting gameplay. Fixed a texture bug when you were wearing armor. Ability to turn off and on the furnace sounds (disabled by default). 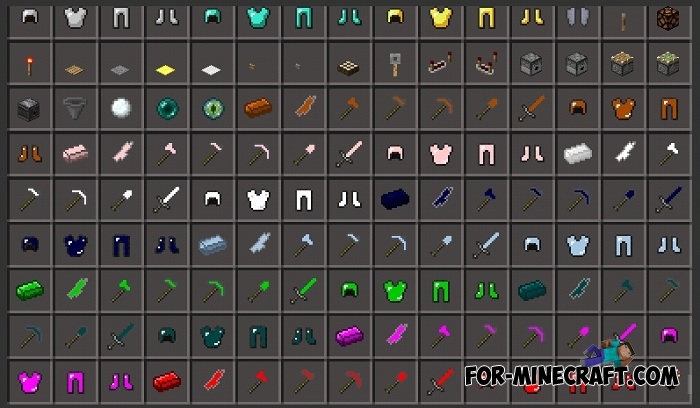 Ores description book (crafted from an ordinary book). The ability to change the language of the book in the config. It is required to restart Inner Core after the change. The correct names of objects. Use them to create weapons and enchanted items. 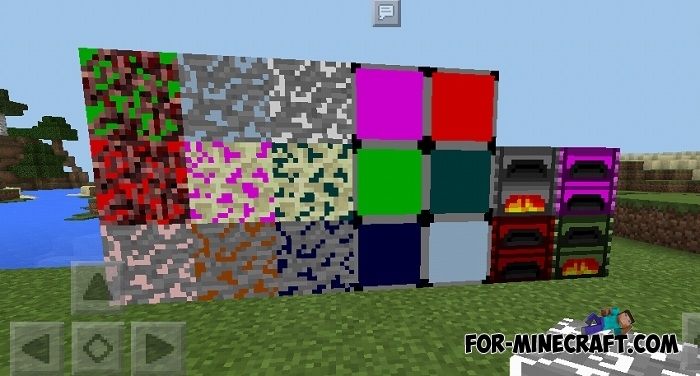 Some ores requires special furnace type (there are 4 kinds) and fuel (synol). As mentioned above, the Overcraft mod has 4 development branches, each of which is a set of new crafting recipes. To learn more you will need a crafting book, which allows you to see all the recipes in each branch. Completeness = 60% so many items are either not activated or not yet added.